Love this classic LESY Girls White & Blue Lace Special Occasion Dress. 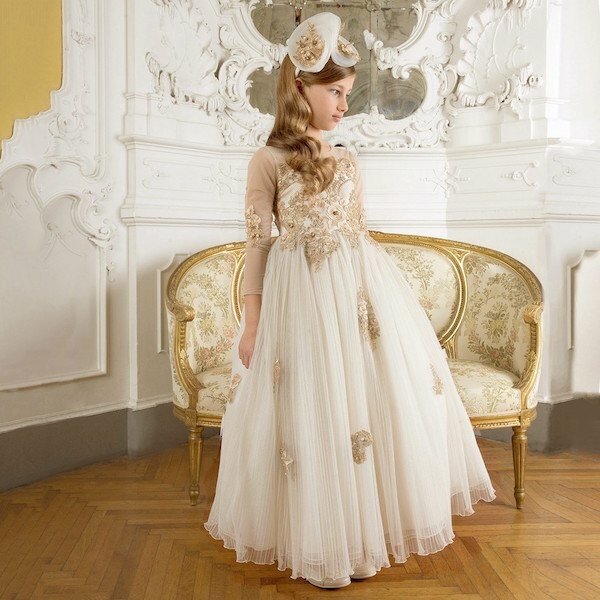 Perfect for an afternoon tea party or special event, this breathtaking dress is a lovely choice for a sophisticated girl. Designed with navy blue embroidered lace embellished with pearls and gemstones to stunning effect. Designed in Italy, the fabric's soft sheen radiates Florentine sophistication.